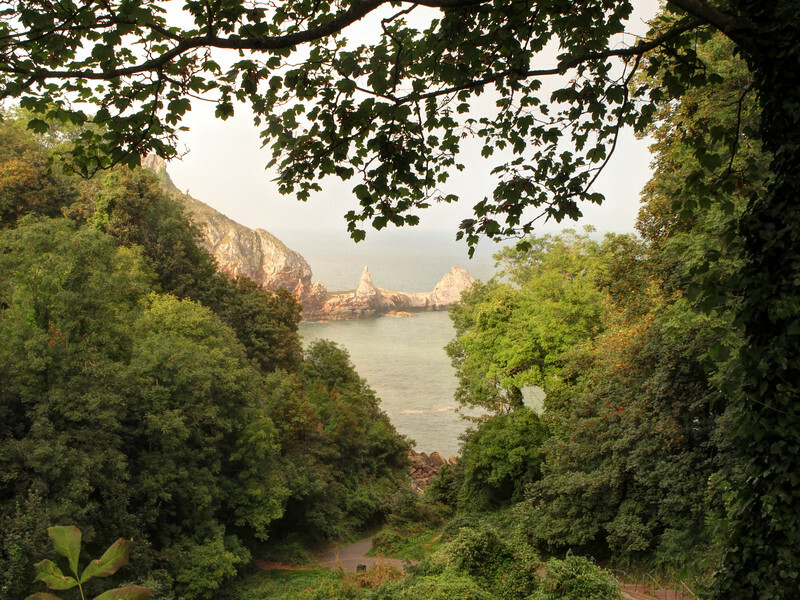 The first part of today's walk. 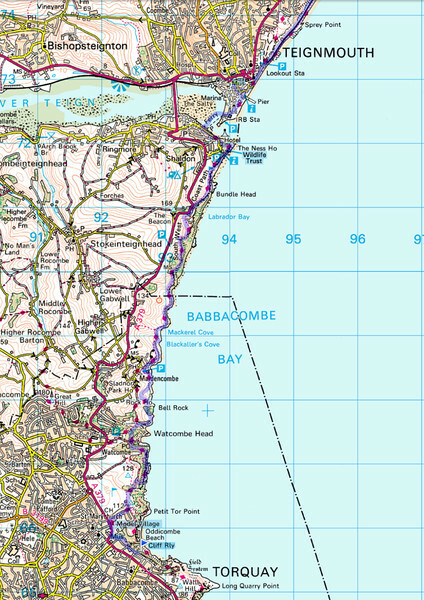 The concluding part of today's walk to a very smart B&B near Exmouth University. 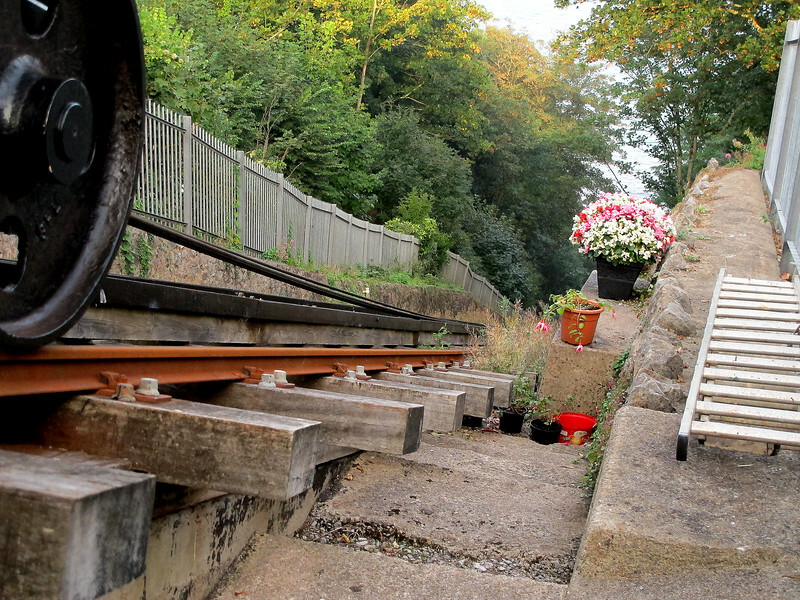 The cliff railway at Babbacombe. One of the many cliff falls caused by record rainfall and storms during the winter. 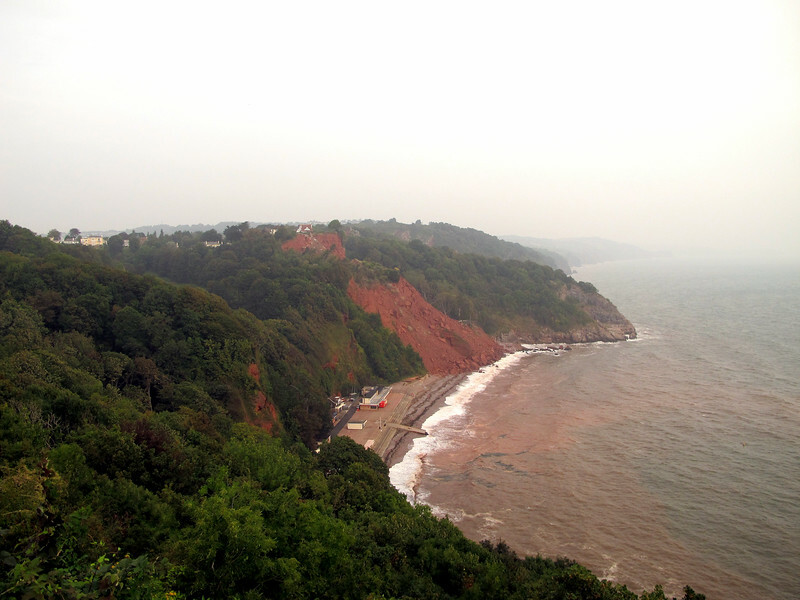 These red cliffs are quite soft and fall easily compare to the granite cliffs encountered on the north coasts of Devon and Cornwall. 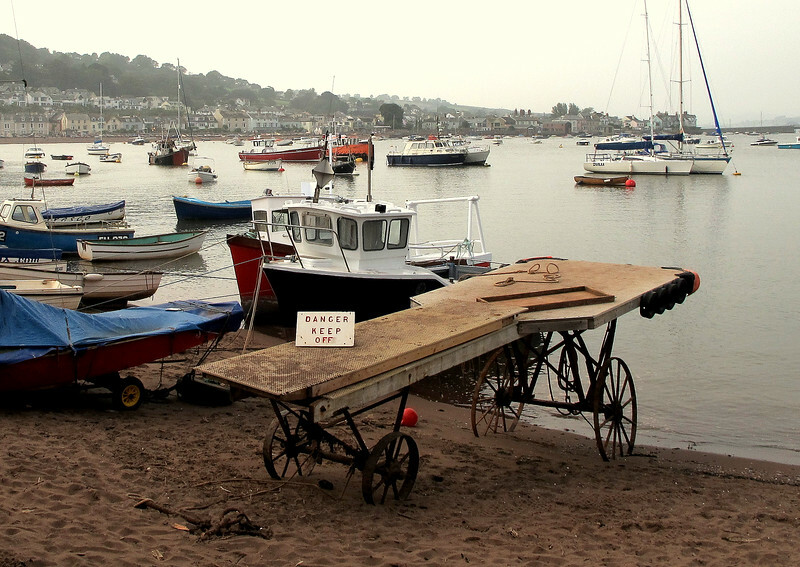 The first view of Teignmouth. The markings on these ferries go back to Napoleonic times when they were painted to mimic Naval ships in an attempt to deter invasion by the French. An old landing stage still apparently in use today. 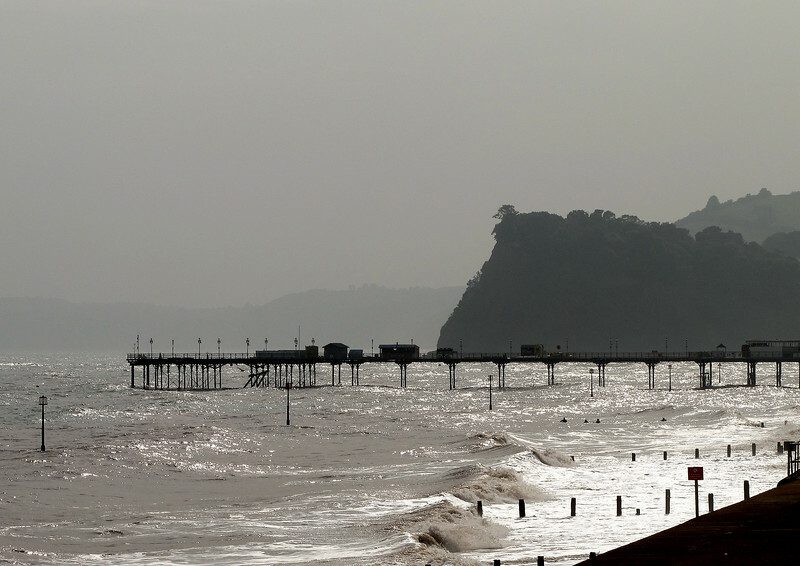 Looking back to the West from Teignmouth promenade and the elegant Victorian pier with The Ness looming up behind. 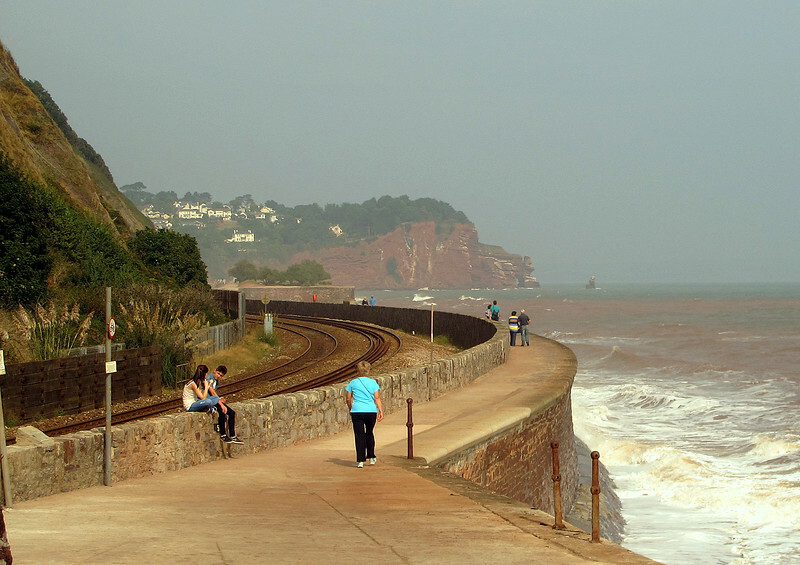 The coast path uses the railway line breakwater. 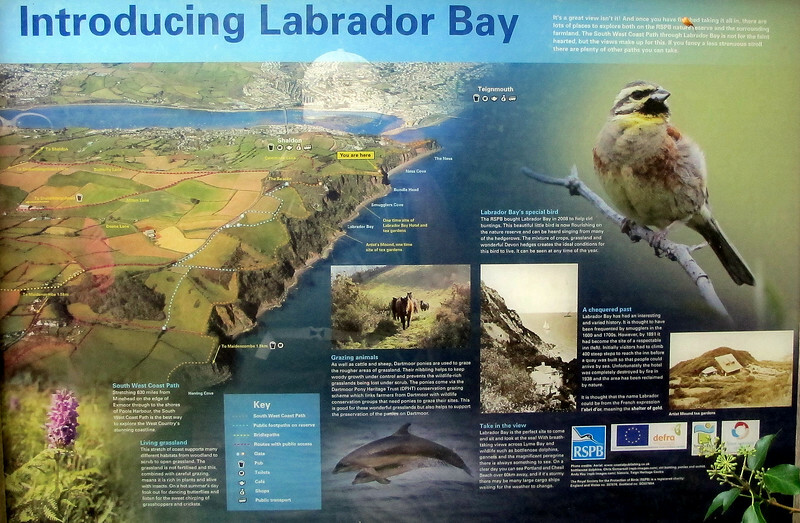 There was evidence along here of substantial storm damage from the winter months. 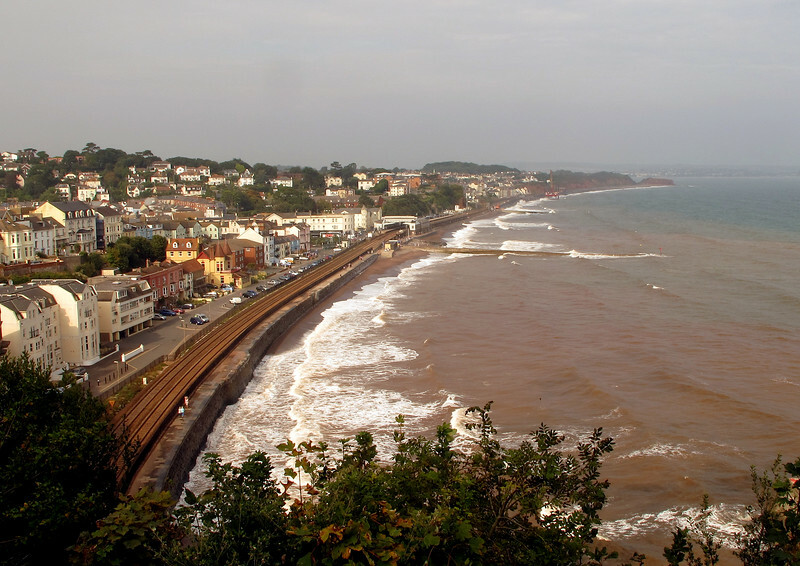 Teignmouth railway embankment and storm damage to the sea defences and the railway track along the sea front. 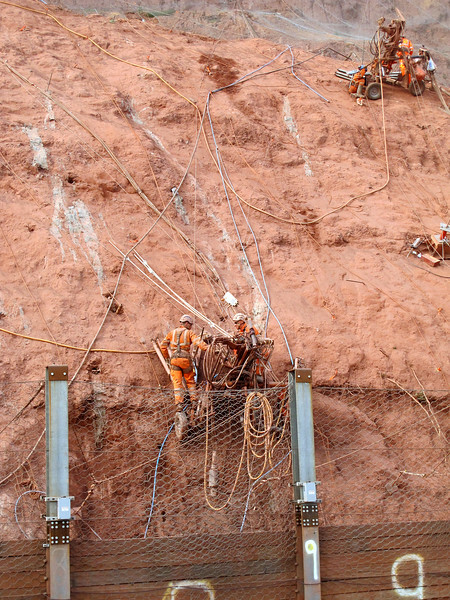 Here men work to stabilise the cliff behind the railway track. 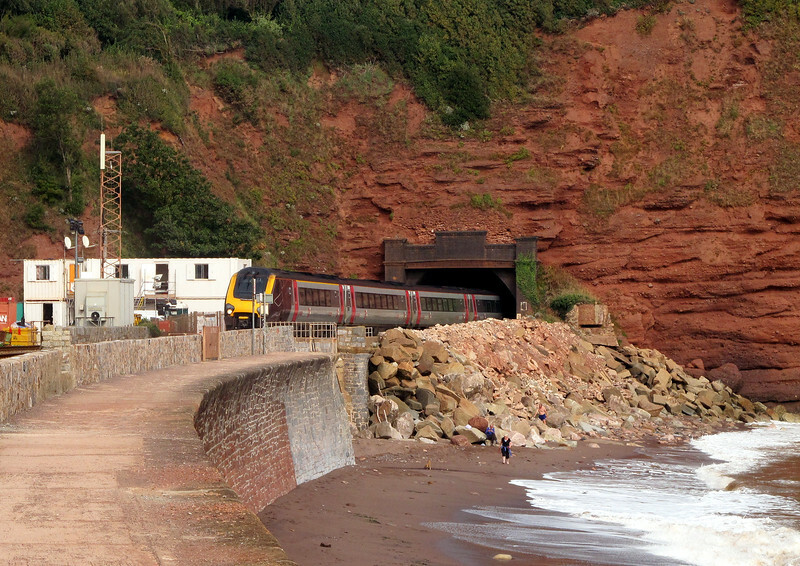 A train emerges from the fortified tunnel portal at Teignmouth. 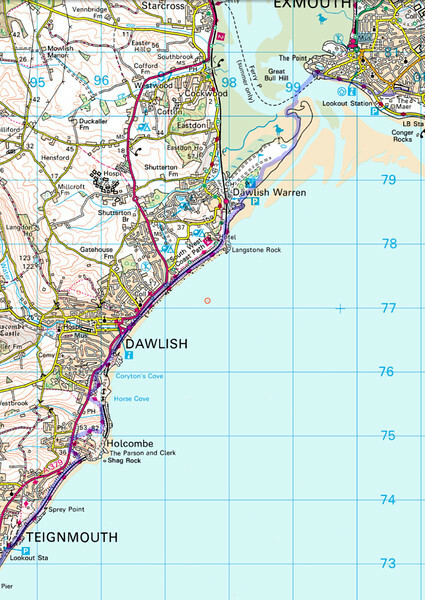 On to Dawlish and all looks almost back to normal. 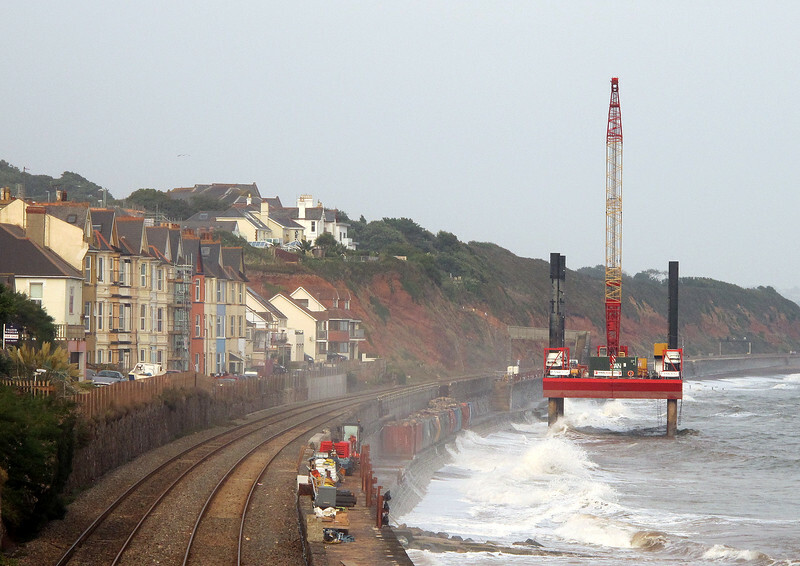 Publicity photo courtesy of Network Rail. 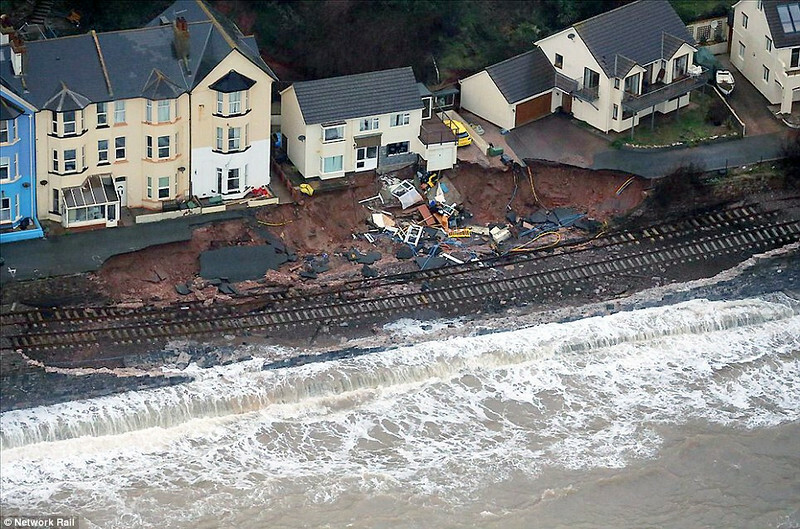 After severe storms during the winter this was the state of the main railway to the Westcountry in February. An heroic effort was put in by the authorities and trains were running again within 6 weeks. This was the scene on the damaged section of track during the walk - still some tidying up to do. 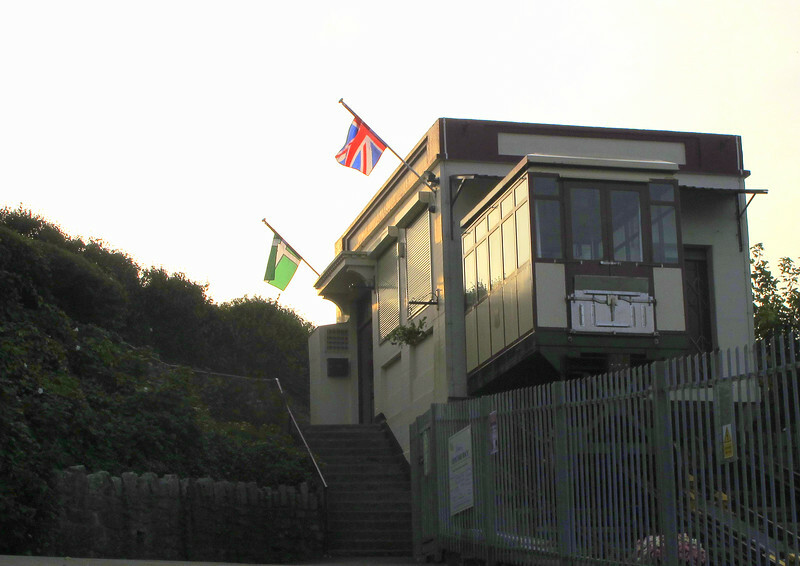 The coast path was diverted from the breakwater to pass along the road above the houses to return to the sea over the footbridge beyond the crane. 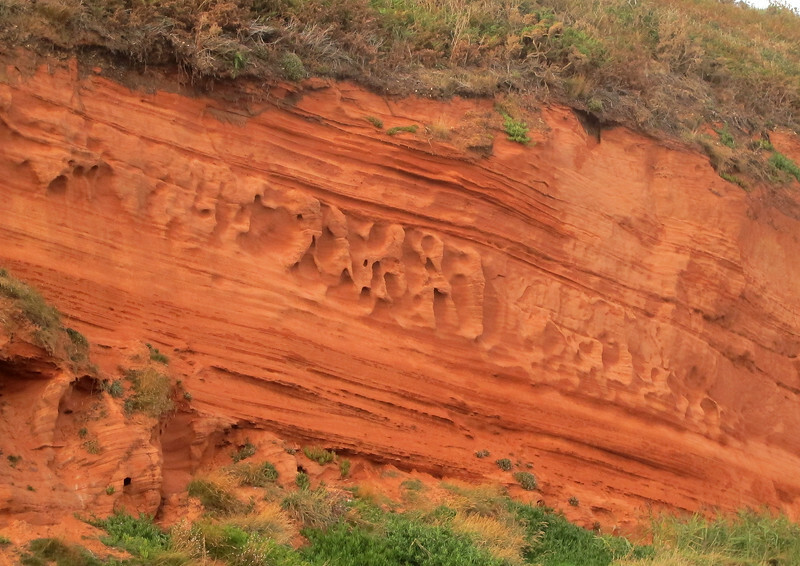 Wind eroded cliff face at Dawlish. It looks almost as if there was text here originally. 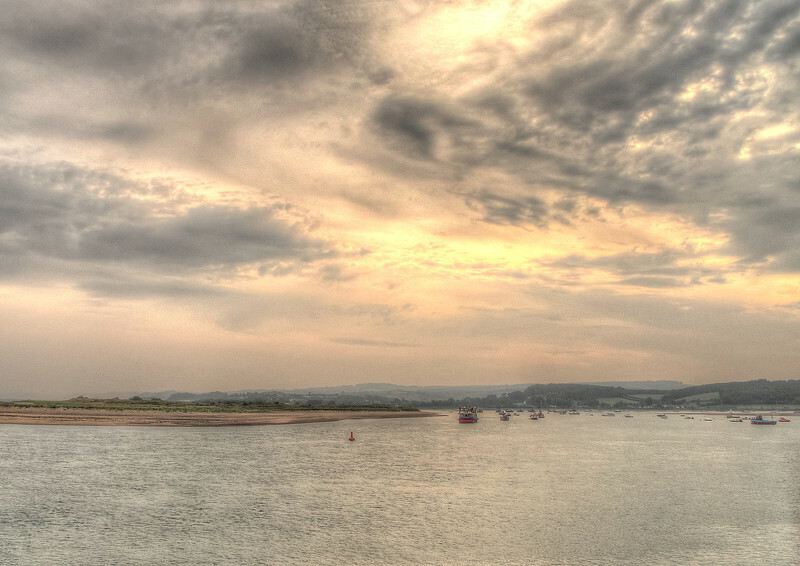 The view across the River Exe to Dawlish Warren. 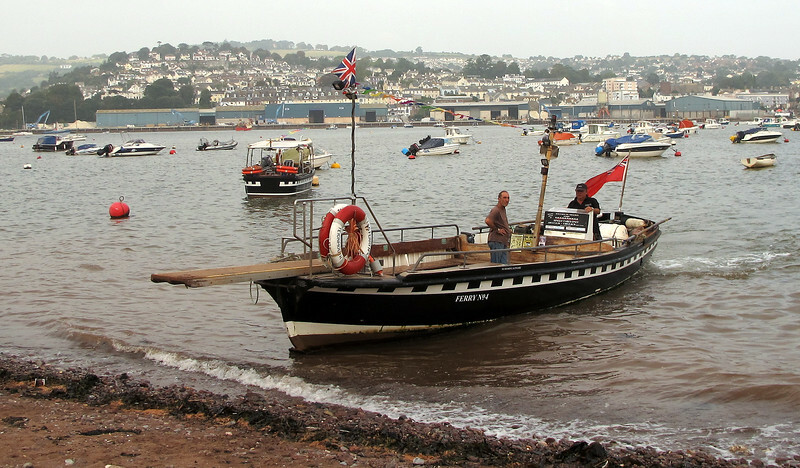 On arrival over on the Warren a phone call summons a water taxi which comes over from Exmouth and takes you to the Marina, all for the princely sum of £2.50 each, I think it was. Papua New Guinea people look here! 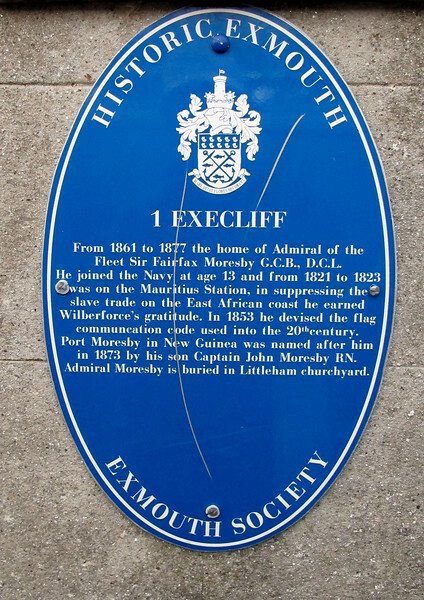 An interesting plaque seen on a house in Exmouth on the way to the University area.